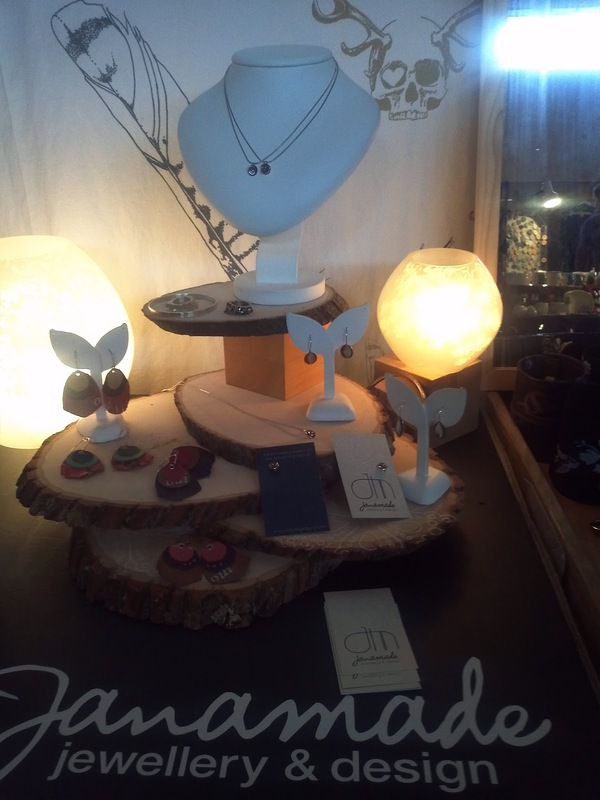 Last weekend I shared a booth with my dear friend Angie (who is Floating Gold Iceberg) at The Owl Designer Holiday Market and I brought some of the new jewellery that I've been working on. I don't have any other pictures of the set up, as it was SO INSANELY busy the whole time that I just did my best to keep up with the press of people. But it was a great event (Big thank you to Emmy, who while pretty pregnant-with twins no less!) and I am really looking forward to participating again next year! But I wanted to put a picture up so you can see (or try to anyway) the new jewellery. I am really keen on it and I am working on more at night once The Kid is asleep, and before I fall asleep!